Just 40 min from Invercargill lies the small village of Riverton, the Paua capital of New Zealand! There are more things to see and do in Riverton than you could imagine. 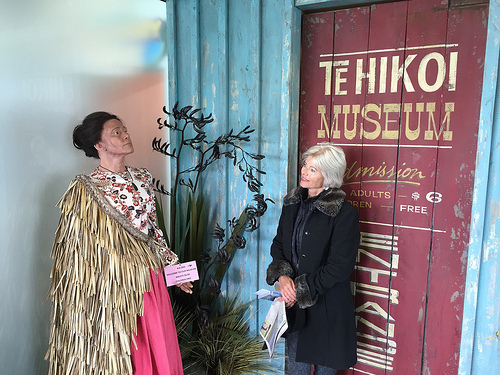 The Cultural Heritage Te Hikoi Museum, is just one of the reasons why you should visit. Riverton does have it’s very own Peter Jackson. Dave Ussher responsible for re-creating a visual story within the Te Hikoi Museum. Each of his mannequins have realistic faces based on actual people! The Te Hikoi Southern Journey is recreated in film by real actors. 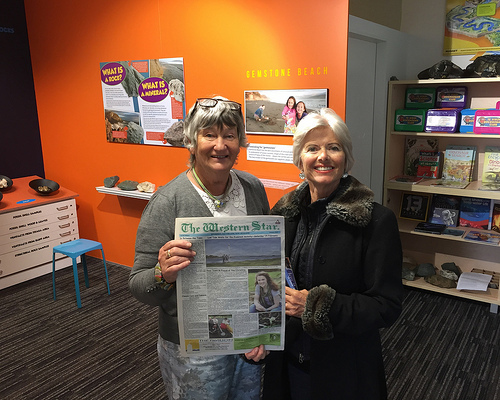 A visit part of Southland History is recreated and it’s fascinating. After watching the film, visitors can walk through exhibits depicting the journey you’ve just seen on film. There is also a video of elderly folk, past and present, telling their story. Pity the poor teenager with toothache who biked 16 km to the nearest dentist to have her teeth removed. Good job she managed to make it home in time to milk the cows! The Riverton locals never retire. Ex-farmer and mother-of-six, Catherine Hill, now edits the Riverton’s local paper. The true essence of Riverton lies in it’s people, the locals, who in the 3 days we’ve been here, have been incredibly helpful and friendly. 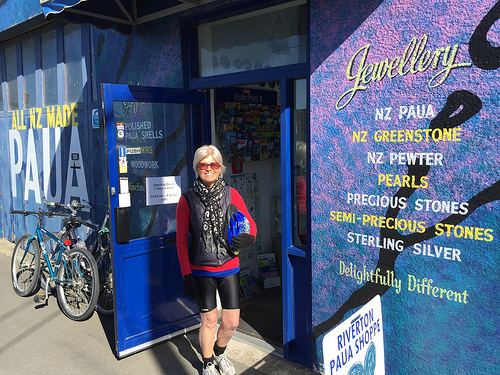 In the space of one morning, we met the Manager of the Te Hikoi Southern Journey, Carole Power, the town nurse passing by and Benita Dudfield, of Paua Shoppe. Who knew how versatile Paua can be. 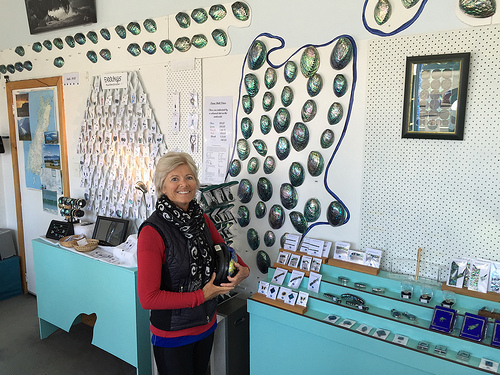 Beautiful and original Paua jewellery is made on the premises and the prices are very affordable. There are more things to see and do in Riverton. It’s great for trout fishing and trail biking. Today we swept aside the bedroom curtains to reveal sun and blue sky. 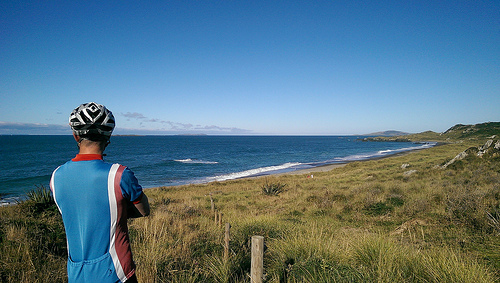 We headed off on our bikes away from the township and came across these scenic sights. They swept me away from a world of worry. The birdlife around here is plentiful, making this an ideal spot for photographers. Because this area is so underpopulated, the birds fly quite close to you. 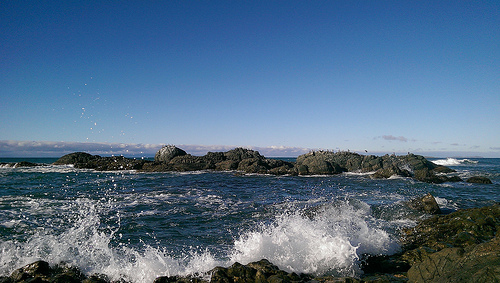 Shags were sunning themselves on the rocks beyond and enjoying the dramatic surf. 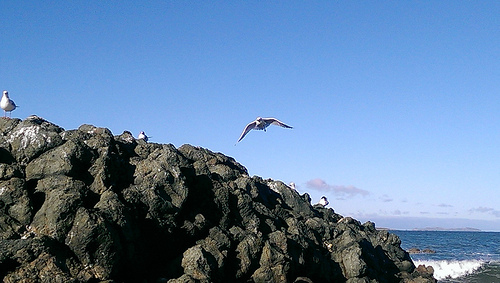 It was a magical moment when we spotted sea swallows, their angel wings making them such elegant fliers. Riverton is a great little place to stay. It doesn’t seem to attract the ‘selfie-stick brigade. 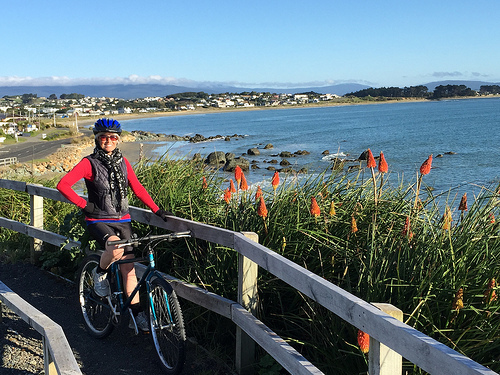 I would encourage more FIT travellers visit this beautiful piece of authentic New Zealand heartland. You’ll quickly become used to being away from the crowds and that’s such a sweet thing. Damn, better re-think your Christmas gift – no selfie-stick! More stunning images; the quality of the air down there looks absolutely crystal clear too. There is something special about Southland. It does look bereft of tourists/travellers – not for much longer I suspect. Love Riverton and the surrounding district. Growing up in Invercargill Riverton was often our school holiday destination so have lots of great memories of this lovely little town and region. True heartland NZ with both the stunning scenery and friendly locals. I was trying to think of why I felt such a connection to this place and yes Jan Roberts, you’re right it’s nostalgia for those fantastic Kiwi holidays of yesteryear when a bach was a makeshift structure with an outside loo. It’s also about the untouched environment of Riverton and yes, Jane Smith, the unbought selfie-stick (so you’re still on my Christmas card list then).